Just wanted to remind everyone that the dates for the November Stamp Camp were moved to Friday, November 9th – 4 PM to 9 PM and Saturday, November 10th – 9 AM to 4 PM. The dates were changed to accommodate my late discharge from the rehab facility. Samples are complete and will start posting tomorrow – Thursday, November 1st. Looking forward to seeing everyone! Also, Sale-a-Bration 2013 will begin January 22 and go through March 22, 2013. Stampin’ Up’s premiere promotion of the year will be filled with fabulous products and fun rewards for all! Mark your calendars now. Stampin’ Up has added ten more individual images-including three images that you have never seen before! 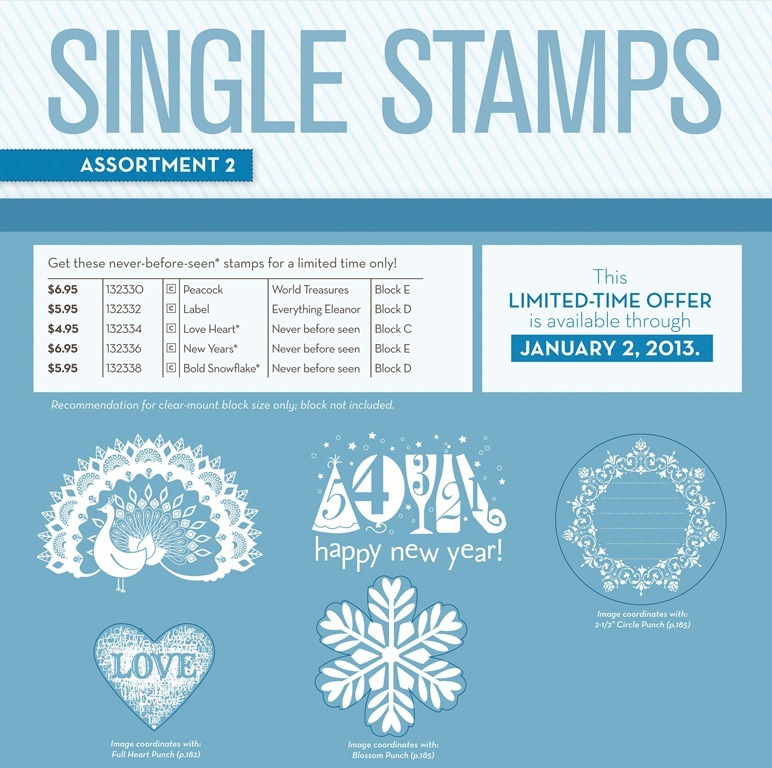 This is the perfect opportunity to purchase these affordable single stamps before they’re gone on January 2! 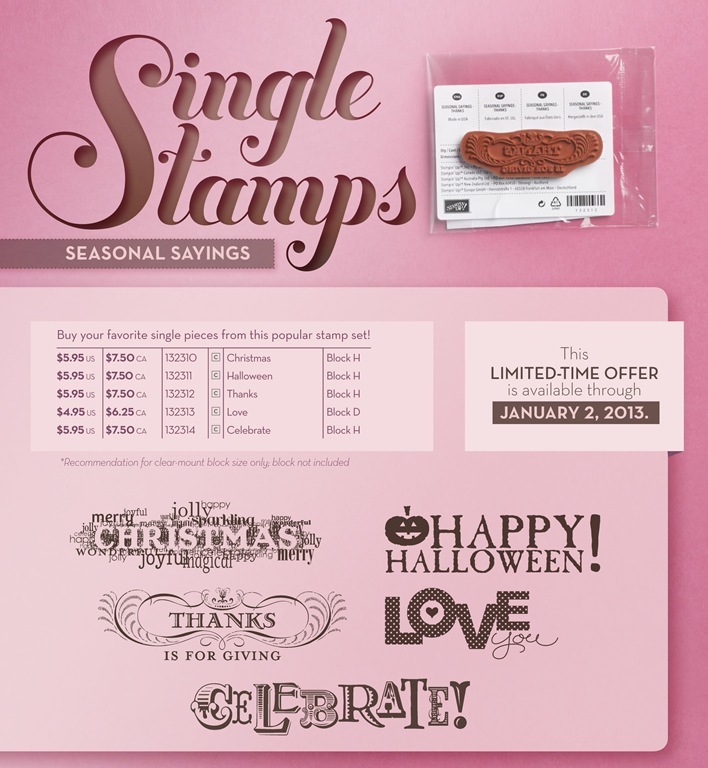 Additionally, all the single stamps are 15% off only on October 29th!!!! 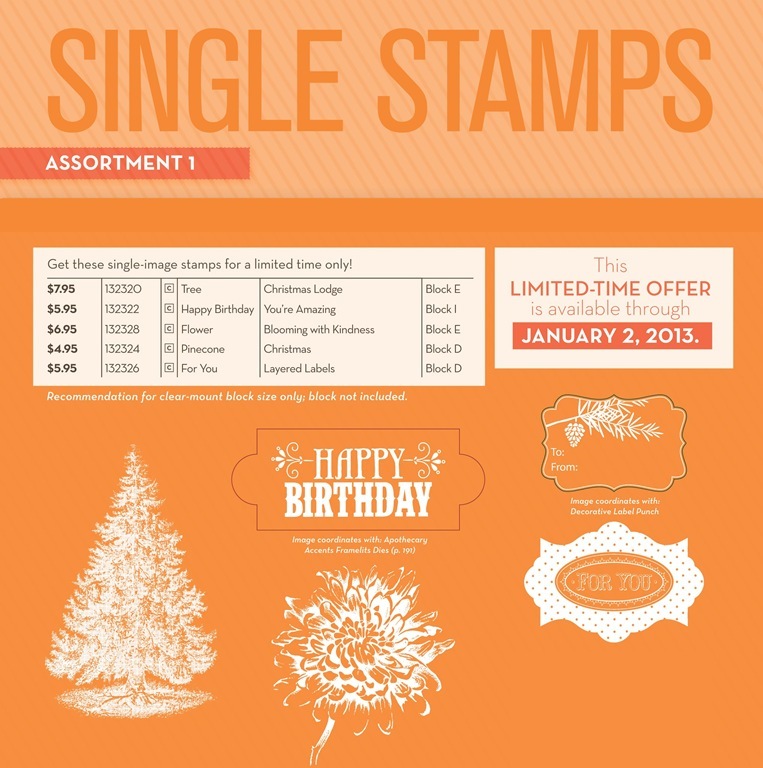 As a reminder, for one day only, you will get 15 percent off almost every stamp sold by Stampin’ Up! Give me a call or drop me an E-mail (630.759.3089 or paperrose01@aol.com) to take advantage of this October 29th special. 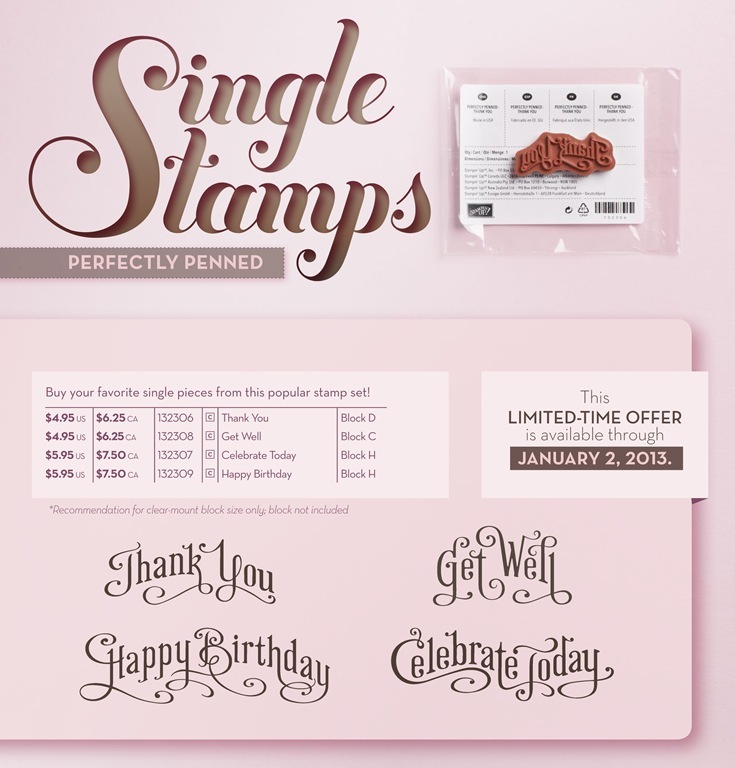 For one day only, you will get 15 percent off almost every stamp sold by Stampin’ Up! The goal is to sell more stamps in a single day than ever before. October 29 is the one-day Sell-A-Stamp Spooktacular! This is 15% on top of the 10% off I give you. 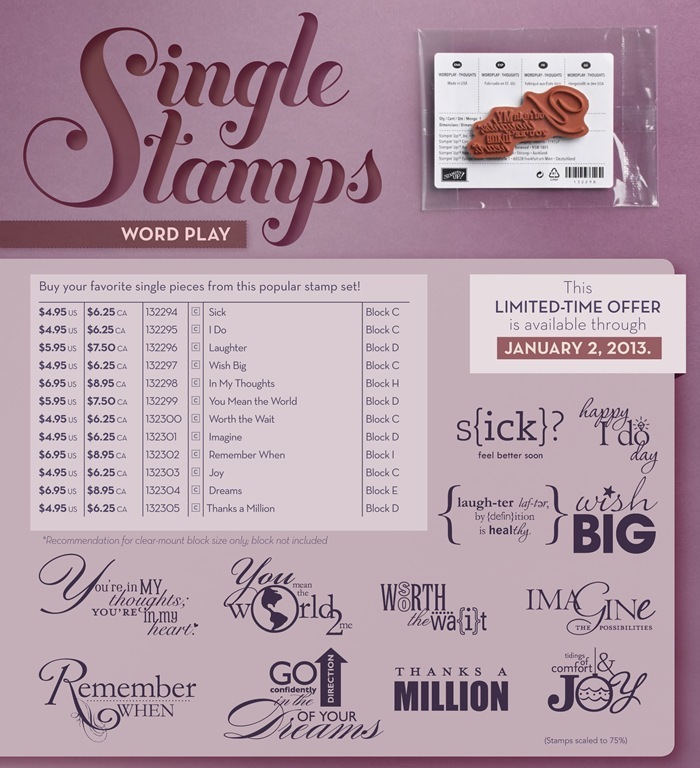 So, this is really 25% off almost every stamp sold by Stampin Up! Read the details below. Stamp prices in the Online Store will be changed for October 29 only to reflect the 15 percent discount. Call me at 630-759-3089 or E-mail me at paperrose01@aol.com with questions or to place your order. I would like to submit just 1 order to keep shipping at a minimum. My plan is to place the order around 8 PM Central time on October 29th. If you prefer to order on-line, go to http://www.stampinup.net/esuite/home/paperrose01/# and click on the “shop now” icon. However, I am unable to give you the additional 10% discount if you order directly on-line.